November 13, 2012.- ContourGlobal, global company headquartered in New York with electricity generation portfolio in America and Europe, is using AleaSoft price forecasting models. AleaSoft forecasting service was chosen on the basis of the quality demonstrated in product trials. AleaSoft offers price forecasting models (“AleaPrice”) for European Markets, such as OMEL (Spain), Powernext (France), IPEX (Italy) and Phelix (Germany and Austria). Models are based on Neural Networks and Statistics methods, with automatic learning algorithms that capture the dynamic nature of price, identifying peaks, setting and maintaining the models updated when trend changes occur. Each model is personalised to the particular features of each market and is regularly checked by AleaSoft experts. AleaSoft forecasting models are implemented in the market since 2002, with an ongoing updating, and are being used by major players in the European markets. Models can be installed on the client site or can be offered as a remote service. With this new contract, AleaSoft reinforces its leading position as provider of electricity prices forecasting solutions. 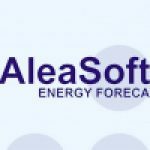 AleaSoft already has a group of important customers using its price forecasting models (including Statkraft, Endesa, E.ON-Spain, Gas Natural Fenosa, Electrabel – GDF SUEZ, E.ON-Italia, Iberdrola, Shell, BBE, FORTIA, Italgen, Elektro Ljubljana, etc. ).